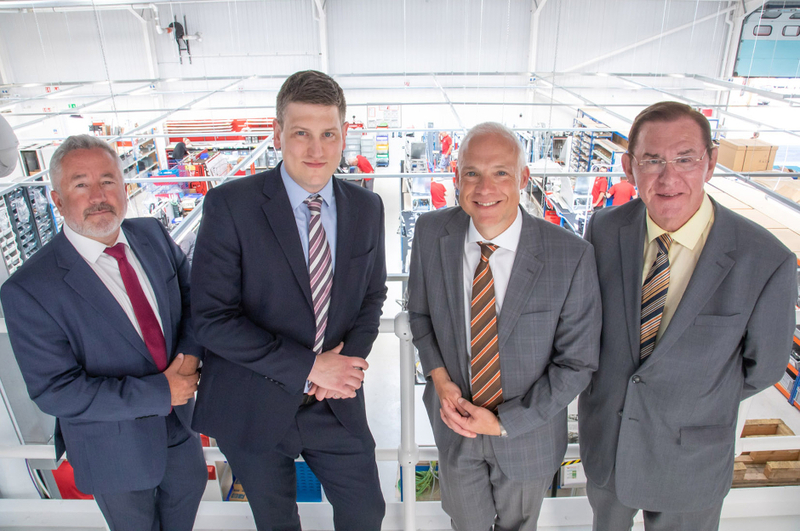 Ardenton Capital Corporation has taken a majority stake in PP Control & Automation, a West Midlands-based provider of electrical control systems and sub-contract manufacturing solutions. PP Control & Automation, which employs over 230 people at its Cheslyn Hay facility, expects the deal to take the business to £40m in sales within five years. The company’s customers are involved in the machine tools, packaging, printing, medical, pharma, scientific and food processing sectors. PP’s current managing director Tony Hague has become a significant shareholder in the business as part of the deal and will become CEO, whilst founder David Fox will take on the role of chairman. The injection of funding follows the announcement of a string of new contracts to take its turnover for the coming year to £24m, including first orders for Hedinn in Iceland and new projects for customers in digital printing and the scientific industries. Hague said: “We recognised over 12 months ago that if we were to realise our aspirations of truly growing PP in the way we believed possible, we would need a new business partner to work with. “Sales have increased nearly 30 per cent in the last two years, but to take us to £40m and beyond we needed to partner with a long-term investor to really accelerate the growth. There were many organisations keen to invest in PP. “However, we knew from the very first meeting with Ardenton Capital that its differentiated approach to sustained investment, with no intention to divest, perfectly aligned itself to the way we do business and will ensure we deliver on our ambitious expansion plans. Ardenton is a Canadian-headquartered private corporate investor. Directors Iain Marlow and Mark Bradbury opened the UK office in Manchester in 2016 and made their first investment into Corbetts the Galvanizers in the West Midlands the year after.